Monitor broadcast LCD firmy TVLogic. Rozmiar 7″. Zasilany bateryjnie (V-Lock). 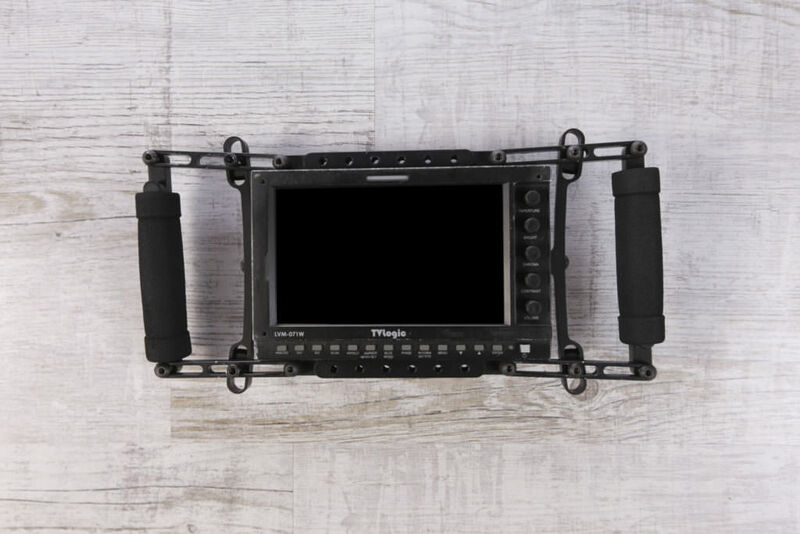 1:1 Pixel Mapping Modes for SD/HD, 3G-SDI Level A/B, Audio Level Meter Display, Blue Only, Focus Assist, H/V Delay, H/V Flip, Luma(Y’) Zone Check, Marker, Max Brightness On/Off, Mono, Range Error, Temperature Adaptive Color, Time Code Display, User Aspect, Various Scan Modes, Waveform/Vector, Zoom, Camera Lut.